This year I needed proof of spring and it was in no hurry to be found. I wanted to see some spring flowers, but when I went to where the spring flowers usually are, there was nothing yet… just some leftover snow. 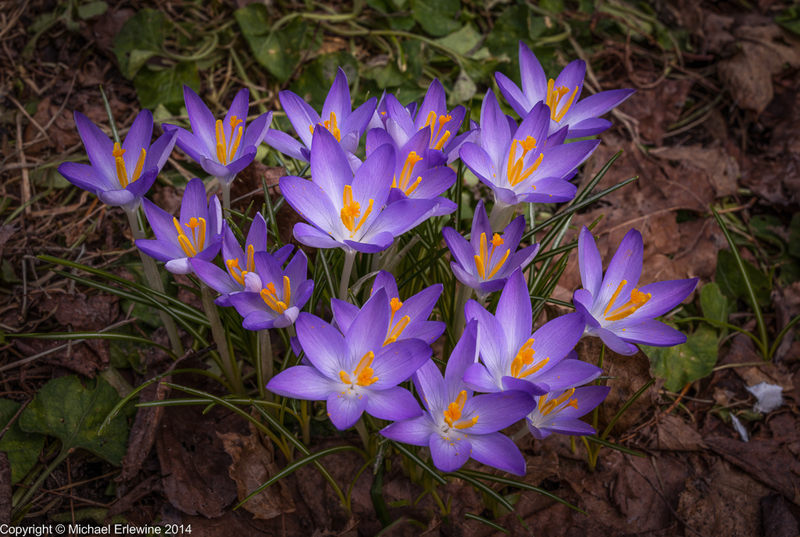 I kept looking and finally found these crocuses or 'croci', which would be the Latin form except the word is originally Greek. But sure enough, I found some and sat on the ground in the sunlight looking at them for a long time, being with them, and also taking this photograph. I felt that some of you would like to see this proof of spring. Here it is.